I read this article and found it very interesting, thought it might be something for you. The article is called Dalai Lama thanks Karnataka for providing refuge to Tibetans and is located at https://tibet.net/2018/08/dalai-lama-thanks-karnataka-for-providing-refuge-to-tibetans/. 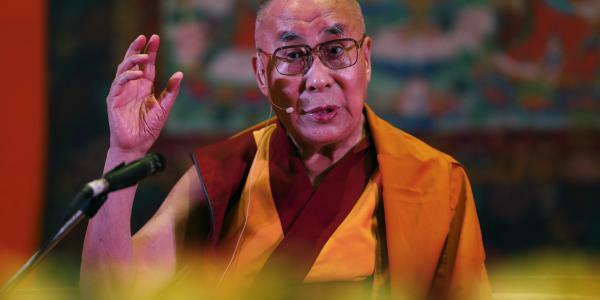 BENGALURU: Tibetan spiritual leader Dalai Lama and Tibetans in Karnataka expressed their gratitude to the state for accommodating Tibetans at five settlements in the state here on Friday. The event, which Chief Minister HD Kumaraswamy also attended, was part of the Central Tibetan Administration’s ‘Thank you India’ initiative. The year 2018, which marks 60 years of life in exile for the Tibetan community, has been dedicated as the ‘gratitude year.’ Speaking at the event, Nobel laureate Dalai Lama said Tibetans’ gratitude showed that they never forget kindness. Speaking of the time he had spent in Beijing in the 1950s, he recalled how he had forged good friendships with people there and laughed when he told the gathering that he had even expressed an interest to join the Chinese Congress Party. The leader singled out former Prime Minister Jawaharlal Nehru for praise, and said he had found Nehru’s advice very useful. “He fully supported our wish to preserve Tibetan culture and set up a committee headed by the Union Minister for Education to set up separate schools for Tibetans,” he said. He said he was heartened by knowing that several Chinese citizens were showing an interest in Tibetan Buddhism. “When I see our cultural heritage and knowledge, I see a great future for Tibet. So we should not feel demoralised,” he said. At the event, he felicitated Prof SN Kiran Shankar, son of former Chief Minister of Karnataka Nijalingappa who had volunteered to provide land for Tibetan settlements in the state in 1959. At the event, Lobsang Sangay, President, Central Tibetan Administration, spoke about the oppression of Tibetans living in Tibet by China. “A total of 152 Tibetans have immolated themselves in Tibet. The Chinese government has carried out environmental destruction of resources by mining. Tibetan language is discouraged, citizens are discriminated and treated as second-class citizens, there is also economic marginalisation,” he said. Chief Minister Kumaraswamy spoke of the good relationship between Indians and Tibetans, and added that it was a pleasure to listen to the Dalai Lama. Dalai Lama: China, Tibet can co-exist in EU-like arrangement.